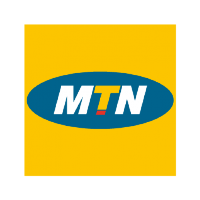 MTN (MTN Foundation) invites applications from eligible students from across the country for its 2014 Scholarship program. Pure/ Applied Physics; Statistics; Statistics and Computer Science; System Engineering. Hi...My dept is not qualified. Pls do u av any info abt FSB? Wat abt fresh graduate? Is there Any plan for them? Wat abt fresh graduates any plan for them? pls, my school is not included UNILORIN. wot do i do? com'n chemistry's not here!!!!!!!!!!!!!!!!!!!!!!!!!!!!!!! what do i do? I don't like this no space for biochemistry..
please give answers to all questions. we all have related issues at hand. Give us reply. if you MTN want to help Nigeria s' undergraduates all department have to be included. Not just some but all undergraduates from every department. This Aint Fair,wht Abt 0 Level Studnts? Are scholarships available for students in private universities.